Researchers from the University of Rochester Medical Center recently reported that supplementing the diet with soybean oil significantly reduces fatigue in breast cancer survivors.1 Although a pilot trial, these new findings suggest soybean oil may function as a treatment for this common condition. Three groups of women were randomly assigned to one of three treatments for six weeks. One group took 6 grams of fish oil supplements daily, which provided 3.3 grams of DHA (docosahexaenoic acid) and EPA (eicosapentaenoic acid), one group took 6 grams of soybean oil daily and another group took 3 grams each of fish oil and soybean oil daily. The soybean oil was designated as the control or placebo. Eighty breast cancer survivors completed the study. To qualify, participants had to have completed post-adjuvant treatment within the past 4-36 months (ongoing hormonal therapy was allowed) and reported having CRF, as indicated by a response of ≥4 on an 11-point symptom inventory scale anchored by “0” = no fatigue and “10” = as bad as you can imagine. Patients were stratified into the three groups by baseline CRF level (two levels: 4-6 [moderate] or ≥7 [severe]. At study termination, fatigue had decreased in all three groups, however, the biggest decrease occurred in the soybean oil group. More specifically, in the soybean oil group, fish oil group and combined oil group, symptom score decreased by 2.51 points, 2.14 points and 0.93 points, respectively. The difference between the soybean oil and fish oil groups was statistically significant (p<0.01). Similar changes were noted for the daytime drowsiness level as the largest decrease was noted in the soybean oil group. The investigators considered the improvements in CRF in the soybean oil group to be clinically significant. However, stratified analyses demonstrated clinically significant changes were observed primarily in those with severe baseline CRF. The notion that dietary intake of the omega-6 fatty acid, linoleic acid, causes inflammation has been refuted by the clinical data.11 Furthermore, recent analysis from the National Health and Examination Survey (2001-2010)12 and a cohort of Finish men13 found linoleic intake was inversely associated with CRP levels. Despite the encouraging findings, caution is needed when interpreting the results because of the pilot nature of the study and because the findings were contrary to expectations. Hopefully, future research will reveal more definitively whether soybean oil represents an efficacious treatment for CRF. Peppone LJ, Inglis JE, Mustian KM, et al. 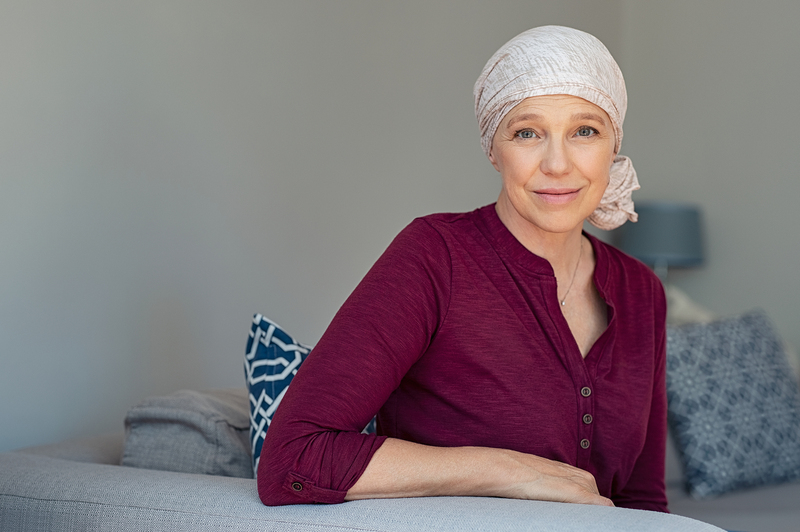 Multicenter randomized controlled trial of omega-3 fatty acids versus omega-6 fatty acids for the control of cancer-related fatigue among breast cancer survivors. JNCI Cancer Spectrum. 2019. Morrow GR. Cancer-related fatigue: causes, consequences, and management. Oncologist. 2007;12 Suppl 11-3. Bower JE, Ganz PA, Desmond KA, et al. Fatigue in long-term breast carcinoma survivors: a longitudinal investigation. Cancer. 2006;106(4):751-8. Schmitz KH, Speck RM, Rye SA, et al. Prevalence of breast cancer treatment sequelae over 6 years of follow-up: the Pulling Through Study. Cancer. 2012;118(8 Suppl):2217-25. Bower JE. Cancer-related fatigue–mechanisms, risk factors, and treatments. Nat Rev Clin Oncol. 2014;11(10):597-609. Navarro-Xavier RA, de Barros KV, de Andrade IS, et al. Protective effect of soybean oil- or fish oil-rich diets on allergic airway inflammation. J Inflamm Res. 2016;979-89. Barros KV, Xavier RA, Abreu GG, et al. Soybean and fish oil mixture increases IL-10, protects against DNA damage and decreases colonic inflammation in rats with dextran sulfate sodium (DSS) colitis. Lipids Health Dis. 2010;968. Vieira de Barros K, Gomes de Abreu G, Xavier RA, et al. Effects of a high fat or a balanced omega 3/omega 6 diet on cytokines levels and DNA damage in experimental colitis. Nutrition. 2011;27(2):221-6. Johnson GH, Fritsche K. Effect of dietary linoleic acid on markers of inflammation in healthy persons: A systematic review of randomized controlled trials Journal of the Academy of Nutrition and Dietetics. 2012;1121029-41. Mazidi M, Gao HK, Vatanparast H, et al. Impact of the dietary fatty acid intake on C-reactive protein levels in US adults. Medicine (Baltimore). 2017;96(7):e5736. Virtanen JK, Mursu J, Voutilainen S, et al. The associations of serum n-6 polyunsaturated fatty acids with serum C-reactive protein in men: the Kuopio Ischaemic Heart Disease Risk Factor Study. Eur J Clin Nutr. 2018;72(3):342-8.